When you open an online savings account they check your credit score. If they don’t like it or cannot find it, they can deny you one. FNBO Direct refused my friend’s request to open an account because they couldn’t match her name to her credit score. She had just married and changed her name… But instead of asking her, they just told her “Your credit score is bad” (actually, it was excellent, but the name mismatch somehow got translated into bad score by their program). She had a similar problem in a brick and mortar bank when she tried to open a CD, but the bank let her show them her marriage certificate. When she called FNBO direct they didn’t care, they just said – your credit is bad. In fact, online banks aren’t the only ones that run your credit when opening an account. Brick and mortar banks have been known to do this as well. As for why a missing credit score would be interpreted as bad… If they’re concerned enough to check, then they’ll assume the worst unless they can find evidence to the contrary (i.e., guilty until proven innocent). I used to ignore my credit score all together since I don’t really borrow money, but it’s amazing how much your credit score is used for anymore….heck, you can barely rent an apartment or get a cell-phone without a decent FICO score anymoer. Why on earth would a bank care about your credit score when you open a CD? Liz, my post must’ve been confusing. I was responding to Oswegan’s question if one’s FICO score matters when one gives a large downpayment. As a realtor you may know the answer. However, if you can find a house or even a condo for 200K in Northern Westchester county, NY (Chappaqua, Mount Kisco, Bedford Hills, Katonah area), I might consider it as an investment. Kitty- talk to me- I am a Realtor- you wanted to know if you could purchase a home for 200K with 50-100k down with no… I didnt catch that part- what state are you in? Maybe, the question is what rate you’ll get. Don’t they have a table of which rate they get for which FICO score? A higher downpayment may factor in, but from my experience they only care if it is over 20%, then you don’t have to pay PMI. The rate is largely determined by your FICO score. While I’ve never given a 50% downpayment, I did give over 20% downpayment for my last two homes. I could’ve given more if I sold some stocks, but it wouldn’t have affected my rate – I asked. So while you might be able to buy a property without credit history but with a large downpayment, you’ll pay more in interest. ING rates are not that great. A number of online accounts have a much better rate. So sure you can open an online account, but you have a lot less choice. I understand your arguments, I just disagree. I can find plenty of insurance companies who want my business, and give me a competitive rate, regardless of my FICO score. How you ask? I pay up front in cash. I just did that for my homeowners insurance for the upcoming year, and I got the best rate and coverage I have ever had. In fact I can find plenty of any type of business that will give me a good deal if I use cash – or cash equivalents – and the proper negotiation skills. That is, with the possible exception of banks and/or credit card companies. And I don’t want any more of what they sell. The system works the way that it does because the American people have accepted, as a way of life, what the banking industry has spent trillions marketing to them. Rick’s right. Even if you avoid credit, it’s short-sighted to say that you don’t care about your credit score. A poor score means that you’ll pay more for insurance, have to put down more deposits (which don’t earn interest), possibly have a hard time landing a job, etc. Like it or not, that’s how the system works. Dave Ramsey and followers are simply wrong in this regard. Even if you resolve to go through life without ever taking on any debt at all, a high FICO score can and will save you in other areas. For instance, the utilities deposit that was mentioned in the previous post. In my personal experience, when I needed to buy home insurance, my insurance provider gave me a higher rate simply becasue they couldn’t find my credit report, and thus treated me as though I had a bad credit score. I called them up and they are unable to reevaluate me until it’s time for the policy to renew at the end of the year. Again, having a high credit score will help you even if you never take on debt. Should it be like this? Of course not. But is it like this? Absolutely. It’s not really inconvenient at all not having a credit card. There are two things that work quite well in its place. One is a debit card, and the other is cash. Car is a bad example because for HAVING to have debt. Cars can be bought in cash if one has the discipline to drive a beater until one has the cash saved for a nice used car. Homes are a little tricky – but at the risk of offending people – the bottom line is, broke people shouldn’t buy homes. Was I broke when I bought my first home? YES. Should I have done it? NO. What I should have done was to save a substantial (1/4, 1/2, or more) down payment, in cash, and put the home on a 15 year mortgage, with payments lower or equal to 30% of my monthly take home pay. Could I buy a $200,000 home if I had 50-100K for a down payment, and no FICO score? All I am suggesting is that you don’t need to maintain a high FICO score, to make your way through everyday life – i.e. getting utilities hooked up, cable turned on, opening a savings account, etc. 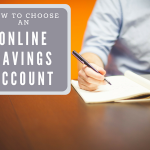 The ING Orange account you advertise on your sidebar doesn’t require a credit check to open a money market savings account – it only requires cash – and that is a very fine online account – we have several of them at our house for different purposes. One of which is to cover the “emergencies” you speak of. Thanks for the opportunity to dialog on these issues, I really enjoy your site – it is very thoughtful and well put together. If it is so, how come those who pay their balances in full have on the average higher credit scores than those that carry high balances? I may be dense, but how is the difficulty in putting money in an high yield online savings account because they cannot find your credit score means that one has debt and not saving cash? If you are opening an online savings it is to put money there, right? I have to respectfully disagree with the concept of ignoring the fico score on principle. It’s illogical (and very inconvenient) to do business in the US without a credit card. Whether you keep a balance on it or not (owe debt or not), having had credit and showing your ability to pay it back will serve you well in business, get you the best deals on major purchases such as car and home, and is nice to have if you ever HAVE to have some debt, such as in an emergency – when your humble opinion won’t get you squat if you can’t prove your credit worthiness. I have to respectfully disagree with the advice of maintaining a good FICO score, because the FICO Score is simply a measurement of debt. The entire concept is a bill of goods sold to us by the banking industry. All it does is tells you how big of a debt addict you are and how good you are at making minimum payments by measuring things like past debt payment/load, current debt paymants/load, number of open credit accounts, new debt taken on, etc. All of the issues your readers are facing with utilities, online banking, rental deposits etc., can be solved by eliminating debt and saving up a little cash. Entery, the electric utility in New Orleans asked for a deposit of $75 dollars. I felt that the impact of an inquiry on my credit score (I was looking to refinance a car loan) would make it more cost effective to simply pay the deposit. When I moved to the states, I had no credit so everything I took for granted like getting a cell phone and utility bills required a deposit. What’s funny was I couldn’t get a credit card so I had to put a deposit for my credit card too! So it was more like a loan to the bank than a credit card. Sometimes I swear the utilities/cable companies just make things up, though. Direct TV told I needed to put a deposit down, even though my credit was perfect (I had purchased a place three months earlier and had seen my credit score then and received a fabulous rate because of the credit). I told them I refused and I wanted to talk to someone above her about it. She told me the only person who could waive the policy was the CEO of Direct TV. I laughed and hung up. Actually, that’s more a lesson on NOT changing your name when marrying. So many of us have multiple checking, savings, and investment accounts, why risk a mistake? We had to put $180 deposit for our electric bill deposit. I have average credit and my husband has very little credit history.